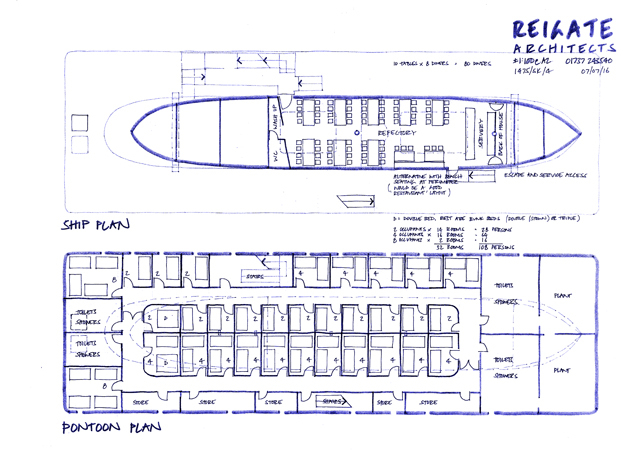 Occasionally we get involved in something completely different. 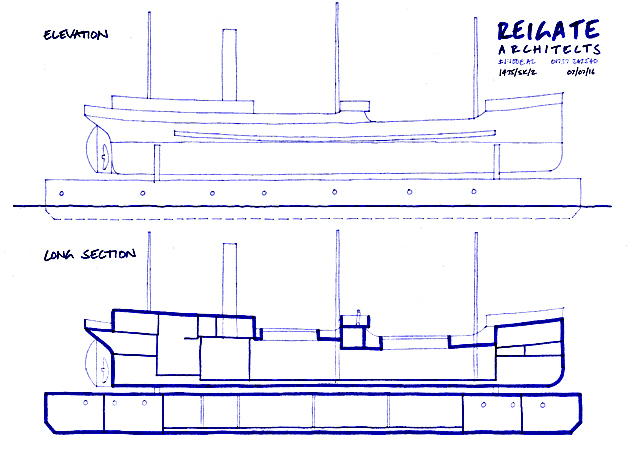 The SS Robin was constructed in 1890 and was in service until 1974. 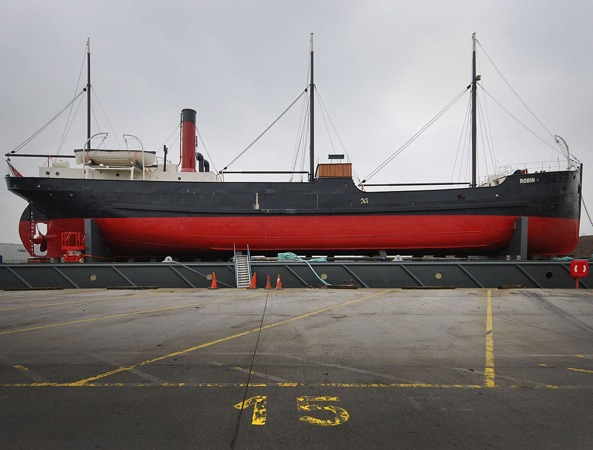 She is the oldest example of a masted steam ship. 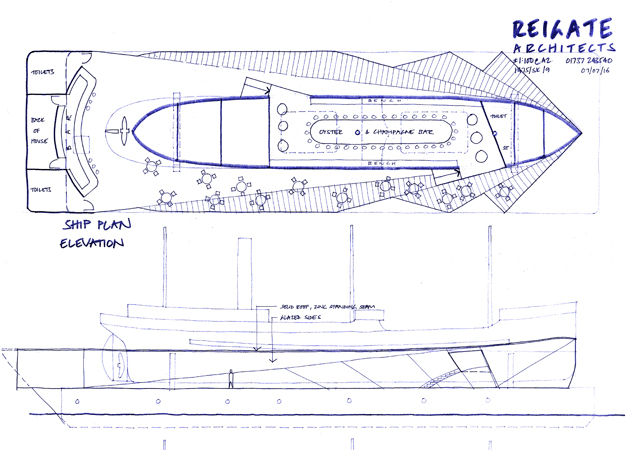 Having restored the ship the trustees were looking for ideas and owners that could ensure her future. 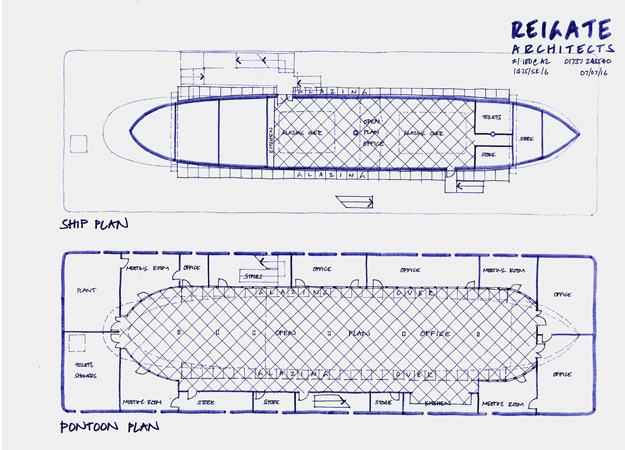 Reigate Architects produced a series of concept sketches showing how the ship might be converted to be used as a hostel, a bar, an exhibition venue and as offices.